Congratulations on taking the first step towards becoming a homeowner! While taking this big step is a wonderful milestone, it can also be quite overwhelming. 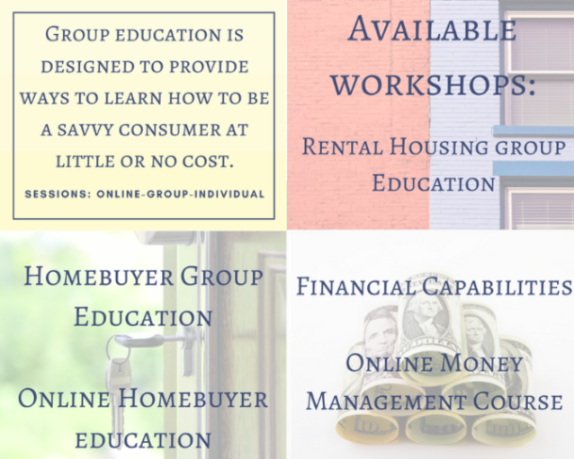 OHP’s goal is to empower you with the information you need to make informed decisions during the home-buying process. If you would like to attend a workshop, please complete the OHP Application for Assistance, the MSHDA Profile, (to be signed by all adult members of the household) and Release of Information (to be signed by all adult members in the household) and monthly expenses. Please submit proof of income for the last 60 days for all household members when turning in your registration for the workshop. The packet may be submitted via fax, mail, or can be dropped off in person at our office.